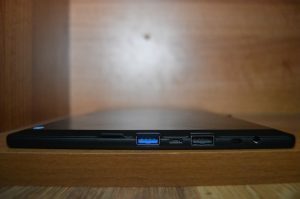 Home / Featured / Chuwi Hi10 – The Perfect Small Windows Device? I had been on the look for a low-cost Windows laptop or tablet because I really haven’t used Windows properly as my main machine for over 5 years. 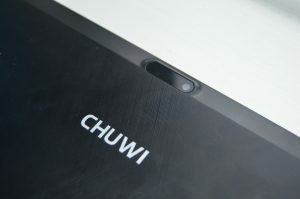 When I was offered the opportunity to test out the Chuwi Hi10 which is one of the most basic machines that is offered by Chuwi. TL: DR Have a look at the accompanying video review of the Chuwi Hi10. 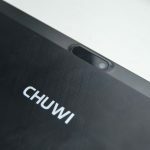 Thanks to EKEYUK for allowing me to test the Chuwi Hi10 out and I will leave the link to this below if you also would like to check it out. The unboxing experience was quite standard with the outer box being made of a thick cardboard, with the Chuwi and Intel logos on the top and basic system information on both sides. Inside the tablet is inside a plastic wallet, with a generic micro USB cable on the side and a selection of documentation including a quality control card, warranty card, quality compliance pamphlet and user manuals in Chinese, English and a range of other languages. You do receive a power brick but this is sent in a separate box and is also a generic 1A so the charging speed won’t be very fast so I would recommend purchasing a separate 2.1A charger. The Hi10 comes with a plastic screen protector pre-applied and there is a film to protect this which you remove before using it. Once you boot the machine up using the power button located on the top alongside the volume rocker, you will see the option to choose your boot OS which is Windows by default and if you don’t manually select an option within 10 seconds, Windows 10 home boots. 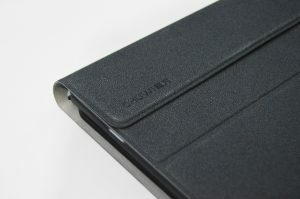 The Hi10 tablet is made out fairly good quality plastic which is a relief as many cheaper tablets are made of low-quality plastic that isn’t built to last whatsoever. 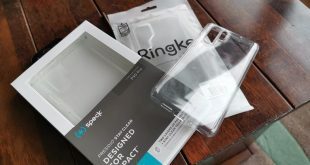 The back has a micro crisscross pattern which is a fingerprint magnet and it isn’t the easiest thing to clean. It would have been nice if Chuwi included even a basic silicone or hardshell case which would have allowed some protection against damage. The plastic back does mean that you have a lot of grip and you are unlikely to drop it unless you have wet hands. The base of the Hi10 has the pogo pins alongside the slots for the keyboard, however, strangely enough, you don’t get it included inside the box and I couldn’t find the Hi10’s keyboard easily to purchase. On the right-hand side, you have the speakers but they are angled facing the rear which is not great. The other side has all of your I/O including your 3.5mm headphone jack, micro USB charging port, USB 2.0 port, USB 3.0 port, micro HDMI port and micro SD card slot. So this has a lot of micro ports. The top houses the power button and the volume rocker as mentioned before. 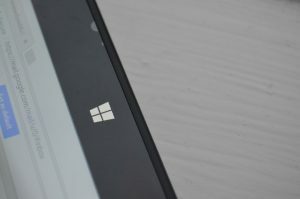 On the front of the tablet you have the Windows logo on the right-hand side and the front facing camera whilst lastly the rear has the camera alongside some logos and specifications. I did also receive the Bluetooth keyboard case with the Hi10 so that I could test this out as a full laptop alongside being a tablet. 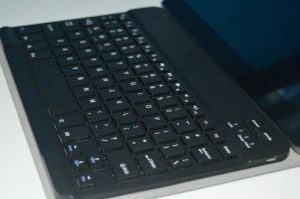 The keyboard doesn’t utilise the pogo pins at the base, rather it uses Bluetooth 3.0 and lacks a mouse which means you do have to use the touchscreen even with the keyboard attachment unless you get an external mouse and connect to either one of the 2 USB ports whether that be wired or wirelessly or using Bluetooth. Windows isn’t pre-setup, unlike many other Chinese Windows device I have seen unboxings and reviews of, this means that you can pick and choose your desired settings without having to reinstall windows. The Hi10 unfortunately only has 64GB of storage which is split between Android and Windows. The base storage level is 52.5GB and I found I quickly ran out of space during my testing period and I started to get a message to say my system is low on memory on a frequent basis. This means you will have to probably get a micro SD card to supplement that storage and a 128GB one would probably be something I will grab in the not too distant future. I wanted to see how the benchmarks of the Atom Z8350 was compared to smartphones which I have tested plenty of recently. The Geekbench 4 single-core score was 697 with the multi-core sitting at 1933. The sequential read speeds using CrystalDiskMark gave me 137MB/S with the write speeds sitting at 86.78MB so you will probably be waiting for a while when moving files from one location to another, that is if you have many files stored in the first place. I did install the Office suite because I wanted to test out if the Chuwi Hi10 could be the perfect portable productivity machine. Microsoft Word opened fairly slowly when I had a couple chrome tablets opened, with the benchmark applications opened so this means you will have to be a bit aware of the overall number of programs that are open at one time. The keyboard does take some time to get used to if you do go for it, I probably wouldn’t recommend using the on-screen one because it takes up about ½ of the display which gives very little real estate to do much work so include the cost of a keyboard when looking at this. The keyboard in the case seems like a fairly generic one because it is for Android, Windows, and iOS and uses magnets to stick to the case. I got used to typing on this but due to the lack of the support, you are going to have to rest this on a flat surface. I was averaging at about 45 words per minute initially but I started to get above 50 words per minute after a couple days of usage. 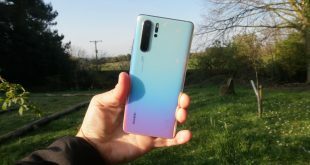 I found that it was a bit harder to use the office programs because they are the full version of the programs rather than the mobile versions which are significantly lacking in the performance. On a device, for this sort of pricing, I really wasn’t expecting a fully laminated display and I have been pleasantly surprised with this display. Whilst the display isn’t overly bright, it works fine inside even with a large window to my left. Outside I would find it a bit hard to use with the keyboard case because there is not any sort of rigidity so the keyboard will slide off. The colours are fairly accurate but I wouldn’t really rely on this for colour accurate colour editing on Photoshop. The display is 1080p which means that your PPI sits at 224 which is higher than the 27 inch 5K iMac so you are getting a lot of bang for your buck looking at this tablet from a pure resolution aspect. I would want to be able to use this tablet to get my work done if I am not at home and didn’t want to take my MacBook so I would usually need about 4-5 hours of battery. I was getting on average between 3 and a half hours to 5 and a half hours depending on what I was doing with mixed usage between internet browsing, With just pure gaming on Asphalt 8 on Windows, I was getting around 2 hours of use because that is more taxing on the battery. My average battery life found within the battery report utility built into Windows 10 showed that I was getting 4 hours and 29 minutes. The actual longevity of usage is probably higher because the Hi10 is set to go to sleep after 10 minutes of interactivity which is a pain and not having used a Windows machine as a daily driver for about 4 hours now, I had to do a bit of searching before I found these settings. I could probably get do with the screen brightness at 50% and minimal programs open and stretch to a full work day but the flexibility with this is that as it is micro USB, you can use a power bank to charge it on the go unlike the majority of Windows devices. Future iterations that use USB C will be able to do this also so it’s much better than using a proprietary charger. The speakers are stereo, however, both of them are facing the back which does mean you lose about 50% of the volume. This does mean this probably won’t be the best media tablet as you will probably muffle the audio if you are holding this in your hand. 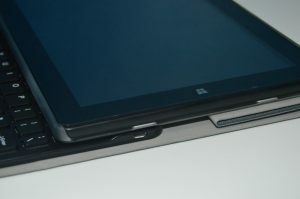 There is plenty of space on the front of the tablet with the fairly substantial bezels which could have housed the speakers but I guess those probably cost more to produce which would increase the cost and make this less competitive. I would probably connect a set of headphones or connect a speaker to this if I wanted to watch anything longer than a 10 minute YouTube video. The camera performance is pretty shoddy and I would probably not recommend using it apart from if you have no other camera available. 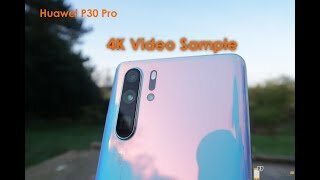 Most devices have a serviceable one that is good for Skype or other video calling purposes but this one is directly out of the cheap £30 tablets that you can find. I will include some shots from the cameras but nobody should get their hopes up with the Hi10’s performance. 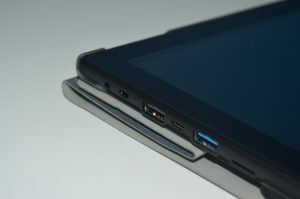 The tablet is similar in size to a normal Android tablet however it manages to fit in 2 full-size USB ports with one being of the 3.0 speed and the other 2.0. There is also a micro SD card and micro HDMI as well. 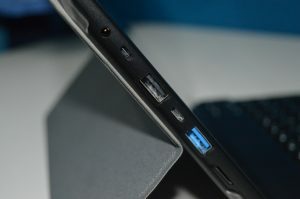 This means that you do not have to carry around any dongles for day to day usage as we haven’t really fully moved over to USB C as many manufacturers such as Microsoft are still releasing products today which still lack any ports. This definitely isn’t a new device by a far stretch so to expect the latest I/O is understandable. I benefited from these because I wanted to move files across to the Hi10 which I wanted to work on when I was out of the house. I would have liked if both ports were 3.0 spec because it just means you do not have to worry about which port you plug a USB into. I didn’t really get the chance to test out the micro HDMI port because I don’t have any adapters but it’s a good feature to have even if it requires an adapter. Maybe in a future iteration of this, instead of having a series of different I/O, Chuwi could implement 2 USB C ports on either side which would mean this could be charged through any of those ports and you could plug your peripherals into any port as well. There was a slight bit of flex in the chassis but that only appeared when I deliberately tried to bend it. 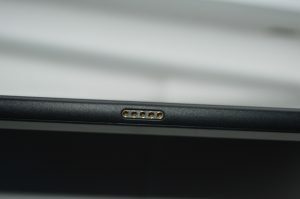 It seems like there is a slight gap between the back of the display and the casing and there is some slight bowing in the back. 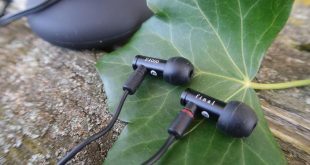 The firmness of the USB ports and micro USB port was perfect with ample amount of tension so that your memory stick or device doesn’t fall out or suffer from a loose connection. The one benefit of having a plastic build is the transparency for Wi-Fi and Bluetooth is much better than something with a metal chassis and it also means that if you do drop it then the impact should hopefully be less. The grippy back of this reduces the chance of you dropping the tablet and throughout my time testing it, I thankfully didn’t suffer any damage to the chassis. There is a factory applied plastic screen protector but I will probably order a tempered glass one just in case especially since the keyboard is facing the screen within the dock. 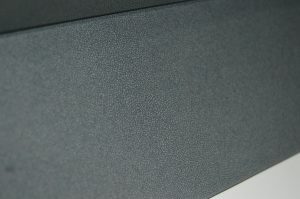 You can get standard folio cases as well to protect this. I tested this against my 2012 Retina MacBook Pro in the same location and I got the following results on the Hi10: a ping of 250, a download speed of 27.43Mb/s and an upload speed of 5.04Mb/s. Whilst on the MacBook, I got a ping of 7, a download speed of 75.31Mb/s and upload of 4.96Mb/s. The ping value was incredibly different but I am not sure why the download speeds were about 1/3 of the MacBook whilst the upload was in the same sort of region allowing for a margin of error. I have approached the Hi10 primarily from a Windows point of view as I only ever opened Android once since I have had this. I would like an option to automatically boot into Windows rather than having the splash screen at the start as it would allow for a quicker boot. I would only use Android on the odd occasion that an application wasn’t available for Windows which is very rare. I think overall the tablet is a phenomenal device for the price and I feel like even if I use this a couple times a month, the investment is much better than spending much more on a conventional Windows laptop especially as this will be used as a travel device when I don’t want to risk taking my MacBook or when I only need a note-taking device. 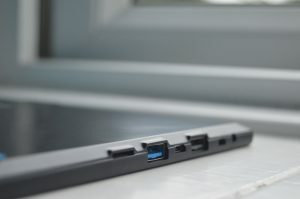 The few flaws such as the rear facing speakers and lack of a trackpad in the keyboard & case combo can easily be overcome with 3rd party solutions.